At Johnson's suggestion, Griffith left Chicago in 1903 to take over as manager of the New York Highlanders. The Highlanders had just moved from Baltimore, and Johnson knew that for the league to be successful, it needed a strong franchise in the nation's biggest city. Griffith retired as a player in 1907, though he made brief appearances as a player for the Reds (1909-1910) and Senators (1912, 1913 and 1914). After a falling-out with the Highlanders' ownership, Griffith was fired during the 1908 season. The team had started strong, but the team's pitching faltered as the season progressed and Griffith was criticized for trading away Jimmy Williams in exchange for a disappointing prospect. In 1919, Griffith joined forces with Philadelphia grain broker William Richardson to buy controlling interest in the Senators. Griffith boosted his share to 19 percent, while Richardson bought a 40 percent interest. Richardson and Griffith quickly came to an agreement that allowed Griffith to vote Richardson's shares as well. This all but assured his election as team president that November. 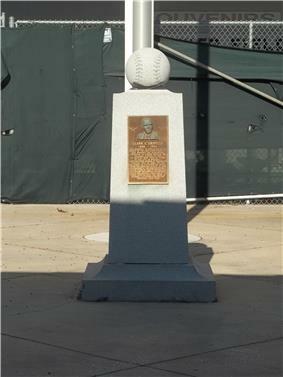 At the same time, the Senators' home park, National Park, was renamed Griffith Stadium. He was known for his faith in young players. He twice entrusted 27-year-old players to manage his teams—Bucky Harris in 1924 and Joe Cronin in 1933. 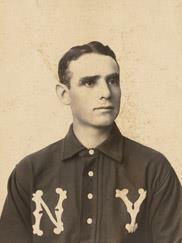 Griffith's wagers appeared to pay off, as the Senators won the pennant in both years under their new youthful managers. In Harris' case, they won the 1924 World Series. Cronin came to the team as a player when Griffith's friend Joe Engel was placed in charge of the Chattanooga Lookouts at Engel Stadium. Engel was the first to scout Cronin for the club and said, "I knew I was watching a great player. I bought Cronin at a time he was hitting .221. When I told Clark Griffith what I had done, he screamed, "You paid $7,500 for that bum? Well, you didn't buy him for me. You bought him for yourself. He's not my ballplayer - he's yours. You keep him and don't either you or Cronin show up at the ballpark." Cronin later married Griffith's niece, Mildred June Robertson. In 1949, after a string of mostly humdrum seasons, Griffith almost lost control of the team when the Richardson estate sold its stake to John Jachym, who in turn sold his shares six months later to H. Gabriel Murphy when he could not obtain a voice in the team's affairs. Griffith was reelected team president, but it was understood that unless the team improved, the next vote would go against him. Griffith proceeded to buy stock from Murphy until he owned 52 percent of the club. Griffith had appeared on ballot for the second Baseball Hall of Fame election (1937), but he received two percent of the possible votes. In 1938, he received votes on only 3.8 percent of the submitted ballots. He received votes on 7.3 percent of ballots the next year. The Hall of Fame held only triennial elecctions for a few years. In 1942, 30.5 percent of voters submitted Griffith's name. Griffith was elected to the Baseball Hall of Fame by the Old Timers Committee in 1946. He was honored at the induction ceremony the following year. Author Dennis Corcoran writes that Griffith had attended the initial Hall of Fame induction ceremony in 1939 but that there is no evidence that Griffith came to the 1947 induction or any other ceremony. ^ "Clark C. Griffith of Senators Dies" (PDF, fee required). The New York Times. 1955-10-28. p. 25. Retrieved 2008-10-12. ^ "Clark Griffith was raised near Sheldon". ^ Bradham, Kelly (June 3, 1973). "Clark Griffith: Baseball great". ^ Gilmore, Eddy (February 25, 1940). "Clark Griffith Continues Colorful Baseball Career". ^ Lenehan, Michael (August 1, 1981). "The Last of the Pure Baseball Men". ^ a b Leavengood, pp. 22-23. ^ "Clark Griffith Never Had Chance to Resign, Was Summarily Dismissed from Highlanders". Duluth Daily Star. October 30, 1908. Retrieved September 18, 2013. ^ Kelly, John (September 20, 2011). "Nick Altrock: A life rich in the stuff of D.C. baseball lore". ^ Armour, Mark (2010). Joe Cronin: A Life in Baseball. ^ Considine, Bob (November 23, 1939). "Griffith nominated for Hall of Fame". ^ "1937 Hall of Fame voting". ^ "1938 Hall of Fame voting". ^ "1939 Hall of Fame voting". ^ "Hall of Fame ballot history". ^ "1942 Hall of Fame voting". ^ a b Corcoran, Dennis (2010). Induction Day at Cooperstown: A History of the Baseball Hall of Fame Ceremony. McFarland. p. 50. ^ "Baseball's Griffith on Critical List". ^ a b "Baseball world mourns death of Clark Griffith". ^ Altschull, Herb (October 28, 1955). "Clark Griffith, Great Figure in Baseball History, Dies". ^ "Mrs. Clark Griffith dies of heart attack". ^ "Clark Griffith, aged owner of Senators, dies". ^ "Sherry Robertson Statistics and History". ^ Wood, Phil. "A future moving experience". ^ "History of the Clark Griffith League". Clark C. Griffith Collegiate Baseball League. Retrieved September 18, 2013. ^ "Clark Griffith Baseball". Clark C. Griffith Collegiate Baseball League. Retrieved September 18, 2013. Leavengood, Ted (2011). 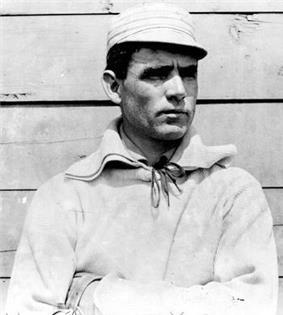 Clark Griffith: The Old Fox of Washington Baseball. McFarland.